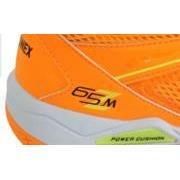 Yonex Power Cushion 65ZM Badminton Shoes, with Power Cushion and Power Cushion+, have an improved fit and much better stability upon landing, for quicker, sharper movement. 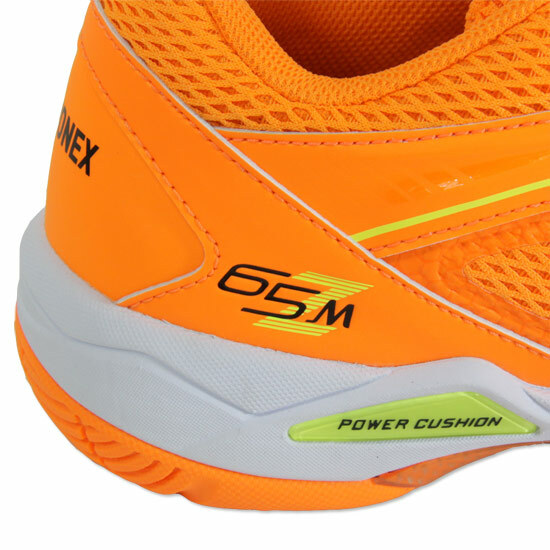 Power Cushion – giving you outstanding performance, stability and comfort. This lightweight material absorbs shock and reverses impact energy. 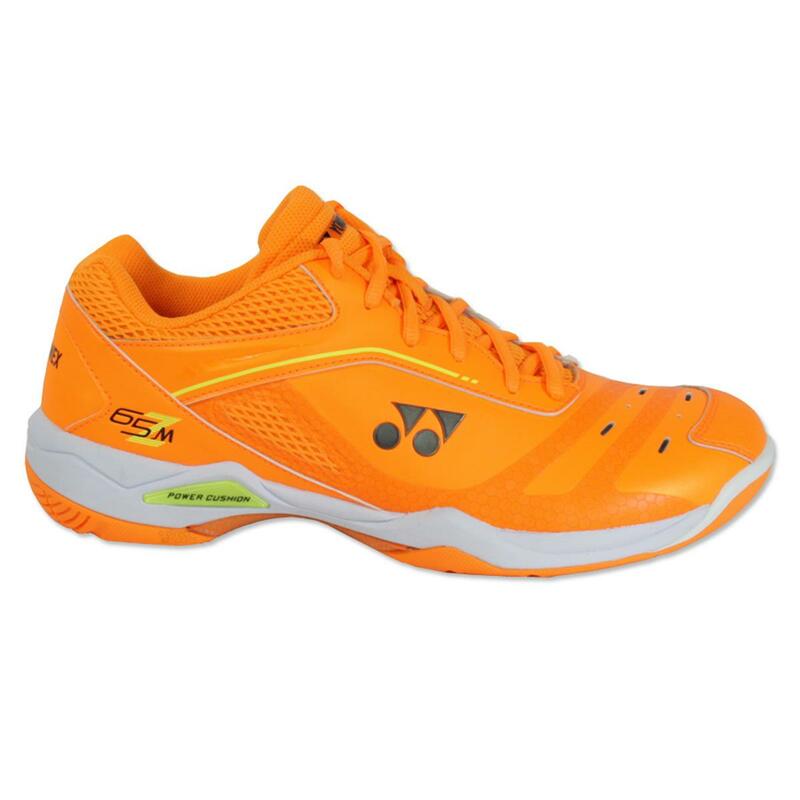 The higher-density top and bottom layers help the 3-Layer POWER CUSHION absorb 30% more shock, give 5% more repulsion than the original POWER CUSHION and converts shock energy into power for fast and light footwork. As proof, a raw egg can be dropped from seven metres above a POWER CUSHION mat, rebounding to a height of four metres without breaking. Power Cushion+ provides improved cushioning and repulsion properties, enhancing footwork on court. This material utilises a resin which is lightweight, and by incorporating more of this resin into Power Cushion+ it creates increased cushioning and repulsion without sacrificing the lightness of the shoe. The Power Cushion+ has a unique shape and by forming the material into this "waffle-like" pattern, with consistent spacing and depth, it is possible for each channel to change shape upon impact, increasing cushioning and allowing it to return back to its original shape for increased repulsion. 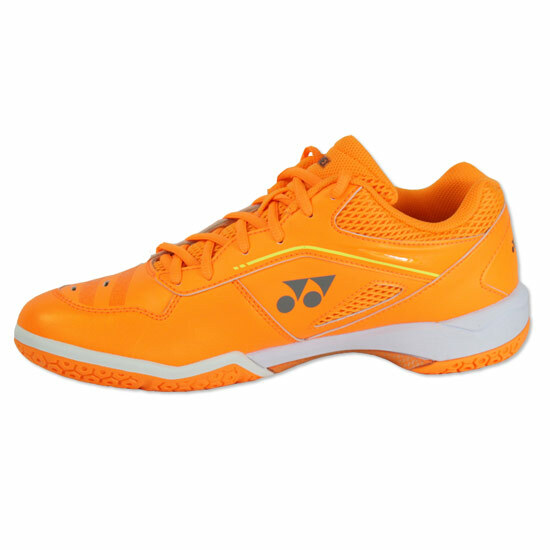 Upper – with Double Russel Mesh which is highly breathable, as well as Tough Guard III, an extremely durable wear-resistant synthetic leather. The Lateral Shell upper prevents sliding at the edge of the sole, reduces power loss and provides a smooth, fluid and offensive movement. Mid Sole with Tough Brid Lite - a technology that is 11% lighter than Tough Brid, helping to retain shape and give elasticity and cushioning. Power Graphite Lite – positioning of a graphite plate under the metatarsus to help reduce the weight of the shoe and increase stability. The Synchro-Fit insole provides extra support around the heel, reduces the gap between the foot and the shoe and gives maximum grip, comfort and performance. The Hexagrip sole allows for agile and stable footwork, provides 3% more grip and is 20% lighter than standard sole material. This round sole ensures maximum energy transfer for quick and smooth footwork. Toe Assist Shape - Reduces pressure on the big toe and improves support at the mid-foot and heel for a more stable fit, whilst power loss is reduced for swift footwork. 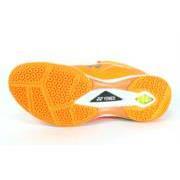 3D Power Graphite Sheet – Provides stable reinforcement under the centre of the foot and reduces shoe twist.